After the conclusion of WWI having seen the birth of tanks and development of motorized vehicles within armored forces, the French Army set up basis for mechanized infantry units able to fight alongside armored formations in the field.. Most of French manufacturers involved in the car or weapons industry were requested to design projects and the company of Lorraine submitted several prototypes. In the first instance, Lorraine developed a light tracked infantry supply vehicle which complied with the technical requirements of 1937.j The Lorraine project featured a tracked chassis with two bogies (4 wheels) on each side.The prototype was completed in record time: 72 hours followed with 24 hours of in-house trials. Then the prototype was proposed for evaluation to the French Army Technical Commission 1 month later. The tests showed performances much better than the Renault UE vehicle, but the vehicle was not accepted by the army at this stage. Then Lorraine developed an extended version of the prototype with a longer chassis that featured 3 bogies to serve as a armored unit supply vehicle. After successful testing, the army confirmed an order for 432 vehicles under the designation “tracteur ravitalleur pour char 1937 L”. From this vehicle, Lorraine developed also the “vehicle blinde 1938 L pour chasseurs potes” (an APC type) which went through trials in April 1939. It can carry a combat team in a raised armored structure at the rear or light weapons (60 or 81 mm mortar) or ammunition supply. It could also tow a 25 mm anti-tank gun. Additionally in 1939, Lorraine built a prototype with an armored body covering all of the chassis. However, this modern vehicle did not go into production. Panzerzug n 32 fitted with a soviet 122 mm howitzer Obr 38. Additionally, a few chassis were converted as Artillery Observation vehicles fitted with a larger armored body. During the war, the Lorraine factory was transferred to the French Free Zone in southwest France and kept production going, officially as a forestry tractor. However, armored bodies were secretly produced and during liberation fighting the vehicles were armed and put into service with the French Free Forces set up from resistance units. Azimut is a French model company that also uses the name Ironside. Azimut has a web site and says they sell resin AFV kits, however I didn’t see the name Ironside on the site and sent Azimut an e-mail asking about the name. Their response was that YES they still use it. This Marder I kit is not shown on their site either. The PE fret has a copyright date on it of 1997. The kit came in a sturdy shrink-wrapped tray and lid type box. The box art shows the Marder I in combat and alongside another Marder I and a German half track. It is in overall earth yellow with dark green squiggles. 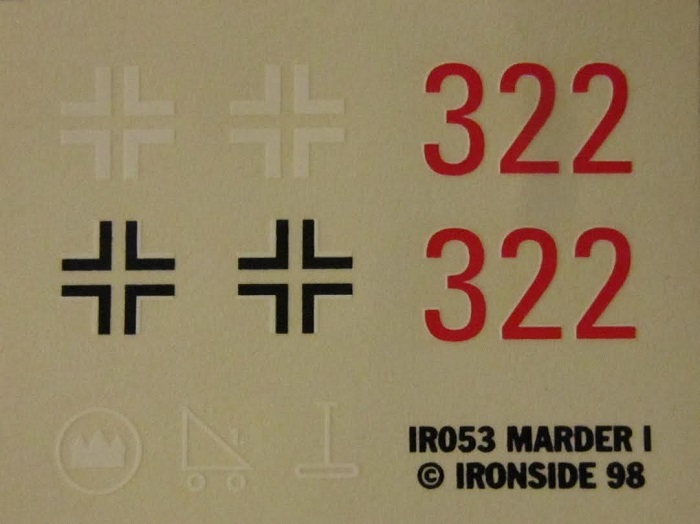 It has a red number 322 outlined in white over a skeletal German cross on the sides. A tactical marking is on the nose. 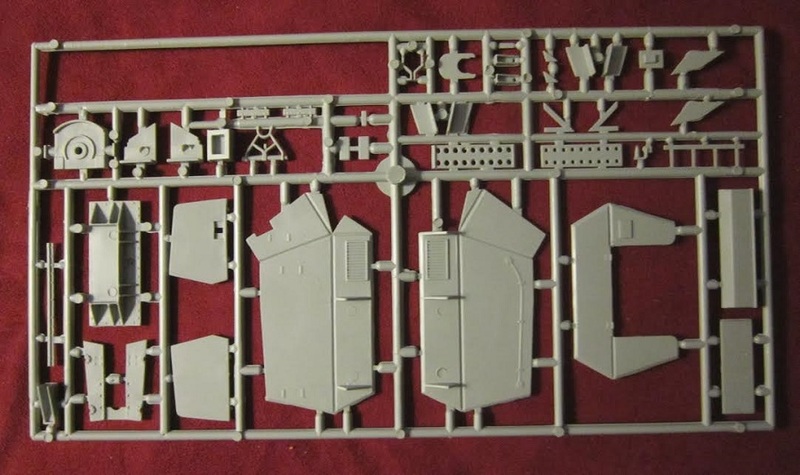 Below the box art it says it is a plastic model with detailed interior, metal gun barrel and PE part, link and length track system and decals for 2 decorations. Kit no. IRO 39, a German railroad closed boxcar Type G10. I have this kit and it is reviewed elsewhere here on INDY AMPS in the archives. 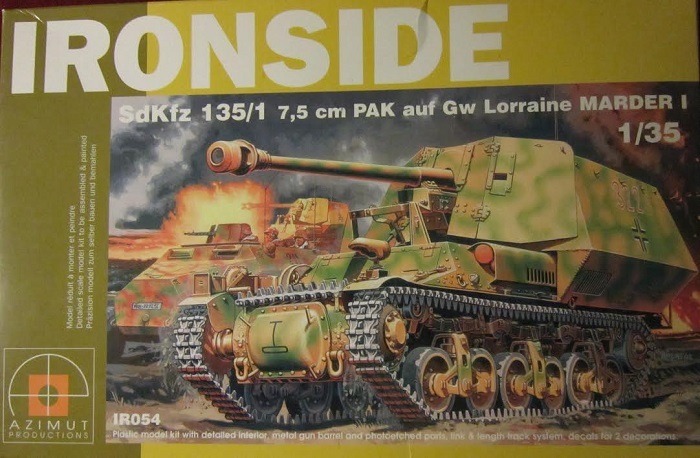 The other side panel begins with a small repeat of the box art, followed by Ironside’s street address, phone and fax numbers in France and that the kit is for modelers 14 and older. Glue and paint not included. This kit contains 5 medium grey trees. Four of them are in a zip-locked cello bag, with a brass PE fret, a turned aluminum gun barrel, a tan resin part and the decal sheet. The 5th medium grey tree is too long to fit in the cello bag with the other 4 medium grey trees, so it was in the box loose. It consists of one large sheet folded in the center to form 4 pages in 8 ½” x 12” page format. A second single sheet in the same dimensions and printed on both sides brings the page count up to 6. Page 1 of the instructions begins with the history of the Marder I in French and English, with an illustration of the brass PE fret. Spread across the pages are the painting and marking instructions and 6 exploded drawings for each assembly. Text in these drawings is in French and English. There are no parts trees illustrations in the instructions and the trees are not alphabetized or numbered, which will make identifying parts for each assembly difficult. Bad move Ironside!! 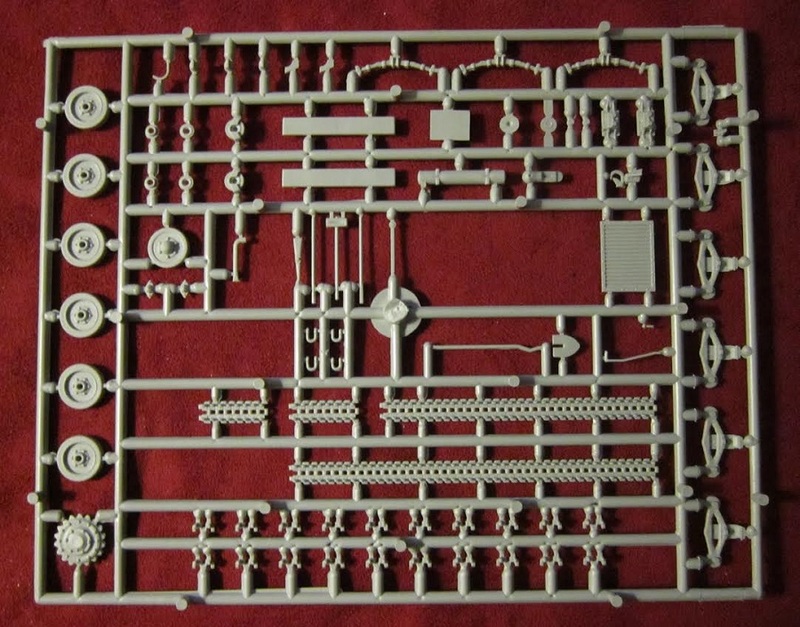 My first impression when I saw these track links was that they looked awful small and more like tracks for a 1/72nd scale model that for a 1/35th one. 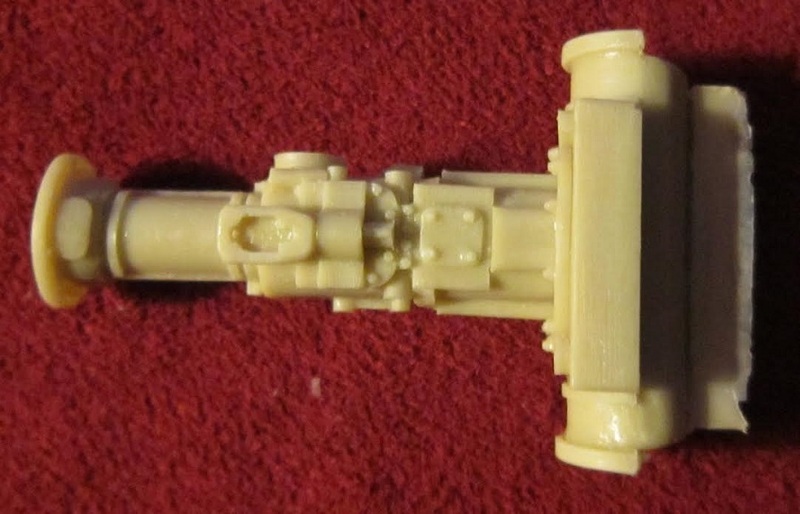 There is a single light tan resin part that is the transmission housing. Next is the brass PE fret (17 parts) I beg off trying to name these parts. 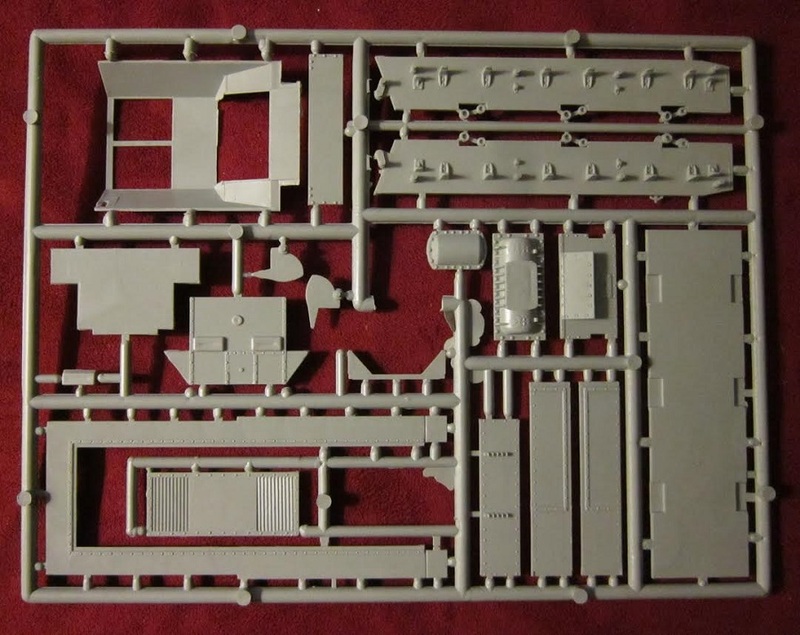 The turned aluminum gun barrel and decal sheet complete the kits contents. The decal sheet only supplies one marking, which is the box art scheme. 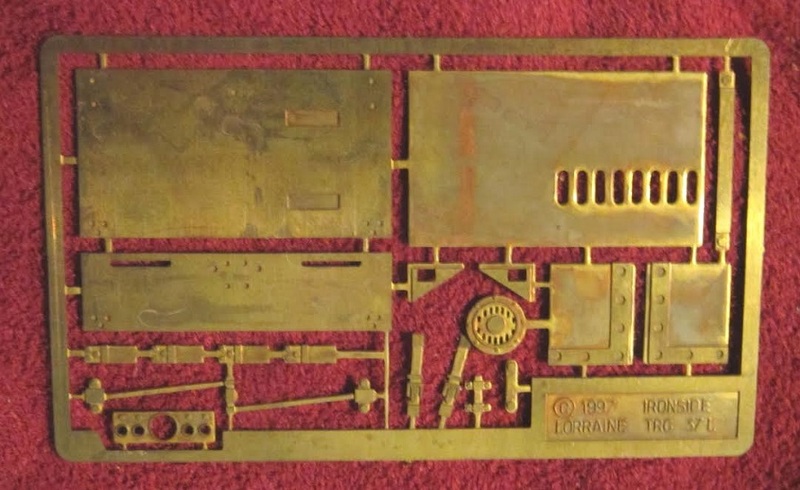 This is a very complex kit and I don’t recommend it to novice modelers. It is also not a weekend project.